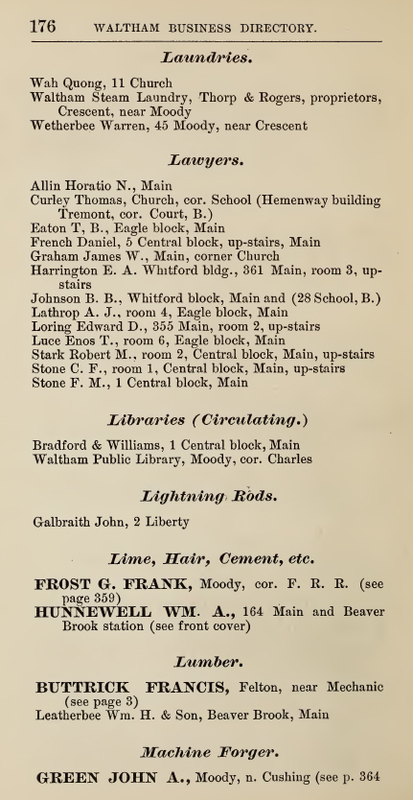 The Waltham, MA City Directory is a compilation of 33 volumes of Waltham city directories from the years 1871 to 1926. They are from two separate publishers and the directory names/years are detailed below. Historic city directories are fascinating for a variety of people - from researchers to those interested in advertising. 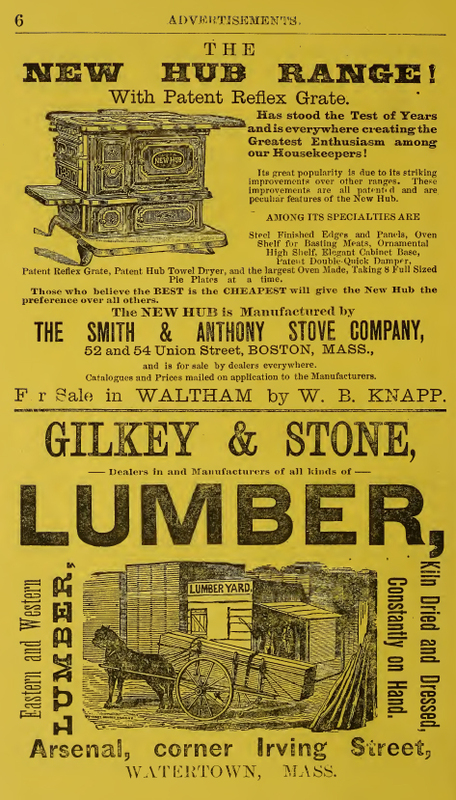 In addition to representing a treasure trove of people in Waltham in any specific year, these are also a remarkable archive of vintage ads - which are always fascinating to look at and offer a rare glimpse into the goods and services people held dear 100 years ago. 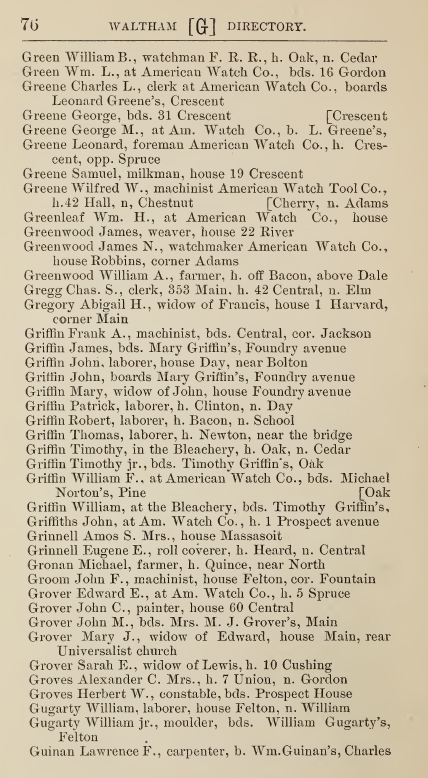 The Waltham, MA City Directory is a compilation of 33 volumes of Waltham city directories from the years 1871 to 1926. They are from two separate publishers and the directory names/years are detailed below. 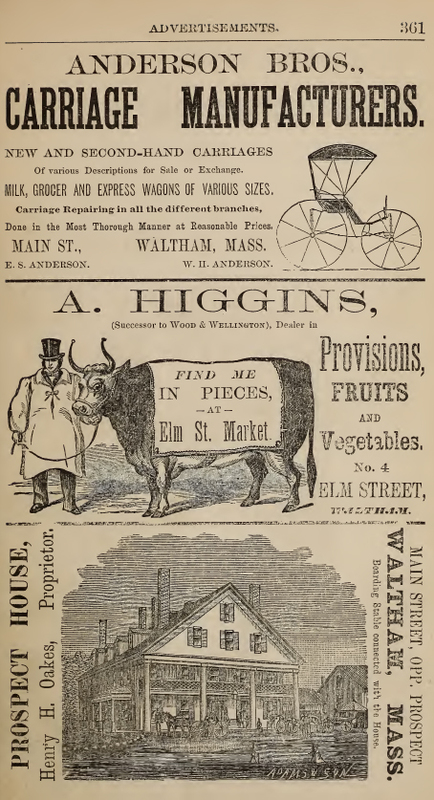 Historic city directories are fascinating for a variety of people - from researchers to those interested in advertising. 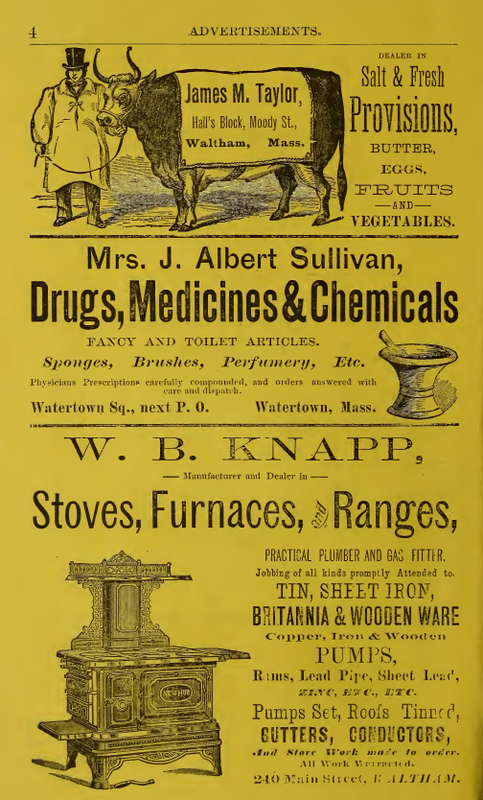 In addition to representing a treasure trove of people in Waltham in any specific year, these are also a remarkable archive of vintage ads - which are always fascinating to look at and offer a rare glimpse into the goods and services people held dear 100 years ago. This DVD runs on all Windows and Macintosh computers. You must have a web browser and Adobe Acrobat Reader - (available for free download if you do not have it installed on your computer.) The book index is organized in an HTML menu that is compatible with all browsers and the books themselves are in PDF format to allow them to be universally accessed. Many of the books on this DVD are fully searchable and all are printable.